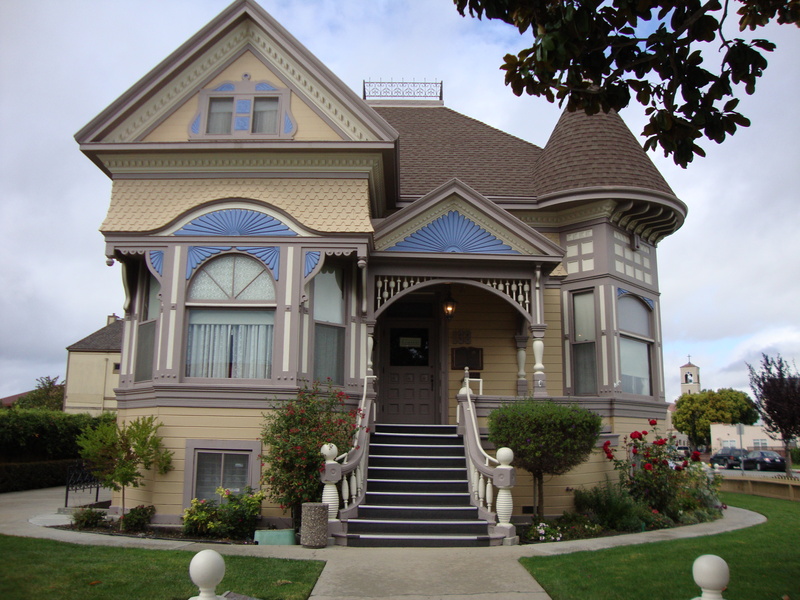 Itinerary: There are few clues about which routes Steinbeck traveled through Oregon and California. As for me, it was, all interstate, all the time when I was rushing to meet my wife Dimmie in Santa Cruz, California. I’m eagerly anticipating a more leisurely route down the coast to Santa Barbara on U.S. 1 in a few days. graffiti, gangs, traffic, poor roads, traffic and people—people everywhere—many of whom are unemployed. The California prison system is at double capacity. As one Californian put it, “We are just putting on a front. 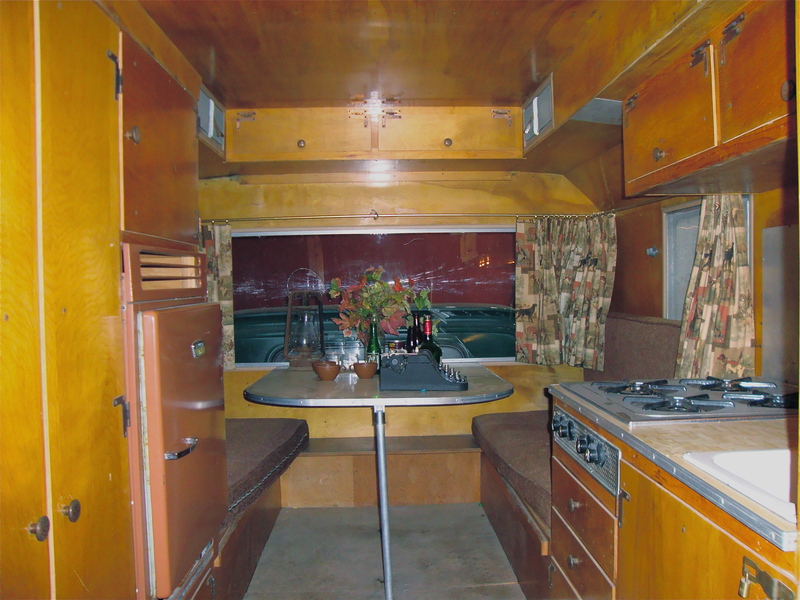 The interior of the original Rocinante. Things are very bad.” She went on to say the state parks were only open because vendors with contracts threatened lawsuits if the parks had closed as planned. I learned at the National Steinbeck Center in Salinas that Steinbeck didn’t want to get out of the truck at times when he visited his home state in 1960 because it had changed so much. I can’t imagine how he would feel today. What is going to happen when we experience a reverse migration and California’s eleven million residents flee to the east? Refugee camps in Arizona and Nevada come to mind. The house that John grew up in. Steinbeck, or at least it is early Steinbeck. 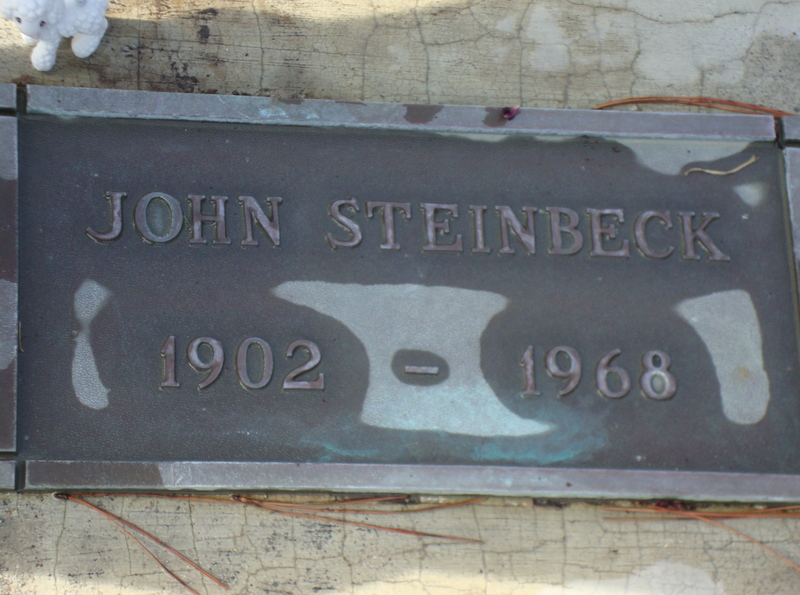 Just about everything from San Francisco to the bottom of the Baja Peninsula has the Steinbeck stamp on it. Tortilla Flats, The Grapes of Wrath, Of Mice and Men, Cannery Row, The Sea of Cortez, East of Eden, The Red Pony and The Pearl, among others, were rooted in this region. 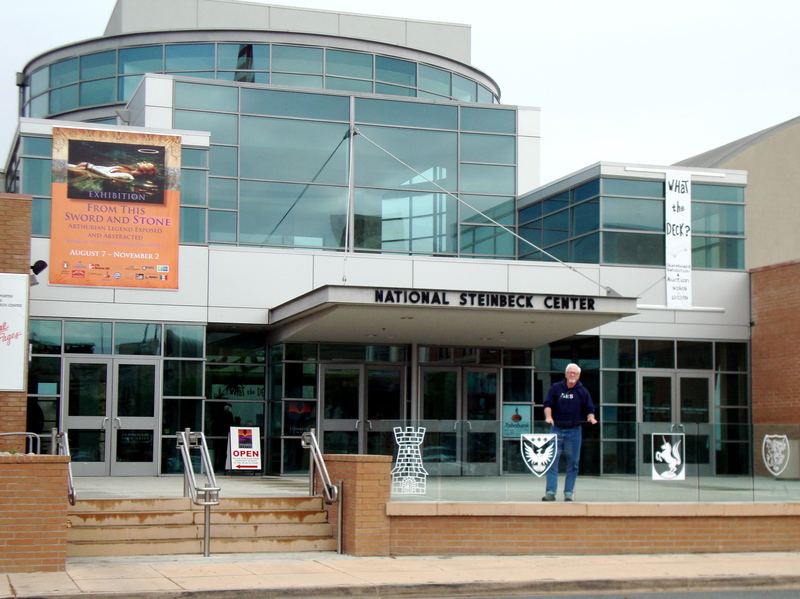 The National Steinbeck Center was wonderful—helpful and knowledgeable people and excellent exhibits. I must go back. Profile: The last two days in Salinas, Santa Cruz, Monterey and San Francisco have been rich and textured and peppered with colorful characters. Here are profiles of a few. Center. This time it was in person. It is always stimulating when one aficionado meets another. Herb was, once again, very helpful and giving. Merilyn: We met Merilyn who volunteers at the Aquarium in Monterey. Merilyn is a sparkly elderly woman who knew Ed Ricketts, Steinbeck’s Cannery Row soul mate and the person upon whom the character Doc from Cannery Row is based. Merilyn shared stories of sneaking into Ricketts’ laboratory as a young woman. 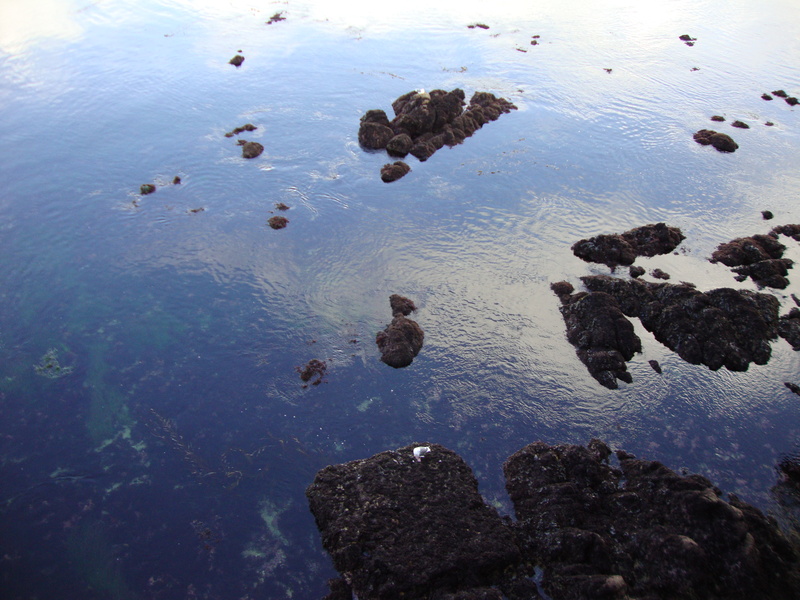 Monterey Bay—excellent for collecting marine specimens. 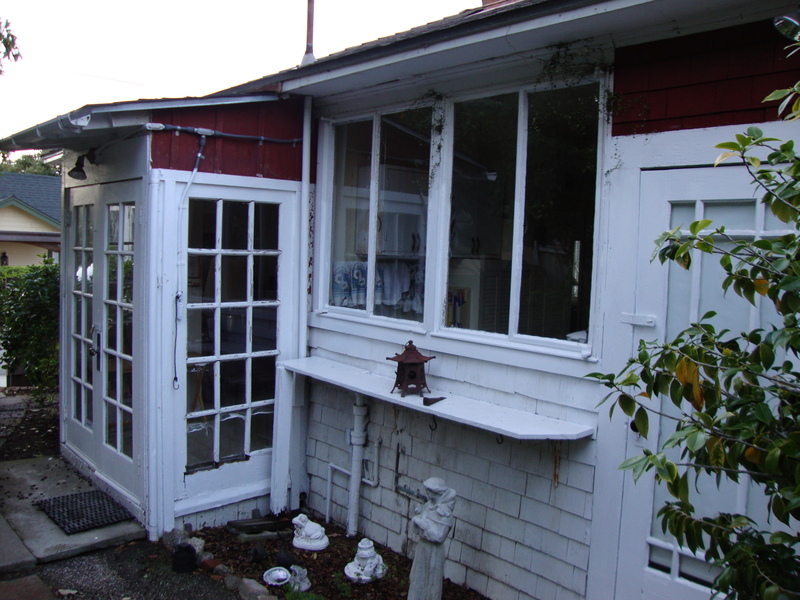 The Pacific Grove cottage where Steinbeck lived and wrote for a time. long straight raven hair and black eye shadow. Cathy was kind enough to help me understand what is happening vis a vis the recession and Santa Cruz and Silicon Valley. It is not pretty. Unemployment is high. Businesses are hurting. People are still being laid off. Meth use among the middle class is rising and destroying families. The Dog: Dimmie has now experienced the phenomenon of Max’s surfing. She was kind enough to drive while visiting me in California leaving me free to observe, write notes and take a break after approximately 9,500 miles of solo steering. At one point we jumped in the car and started out and then she immediately burst out laughing and stopped the car. 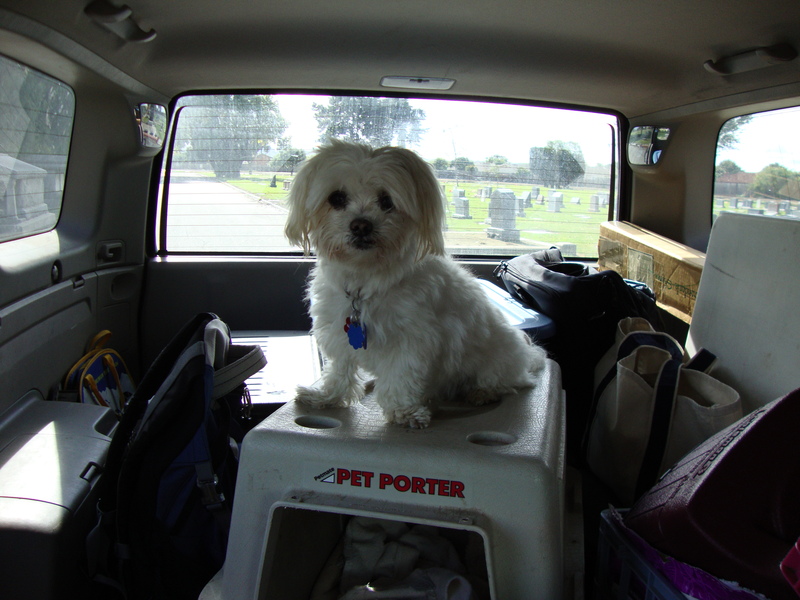 She had just noticed Max in the rearview riding on top of his plastic kennel. Dimmie confirms Max is a new man jumping over obstacles that in the recent past would have stopped him in his tracks. He gets ecstatic in San Francisco charging around trying to decide what to sniff next. 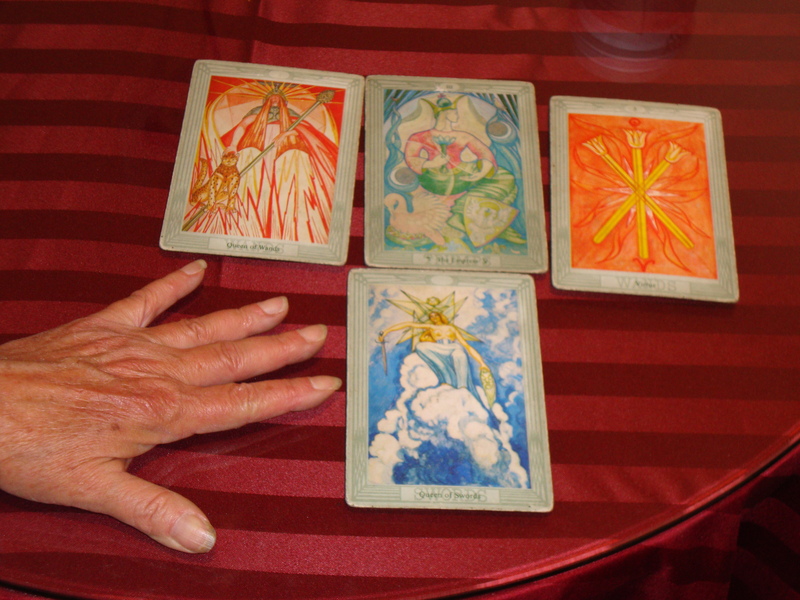 MY "green light" Tarot cards on Cannery Row. 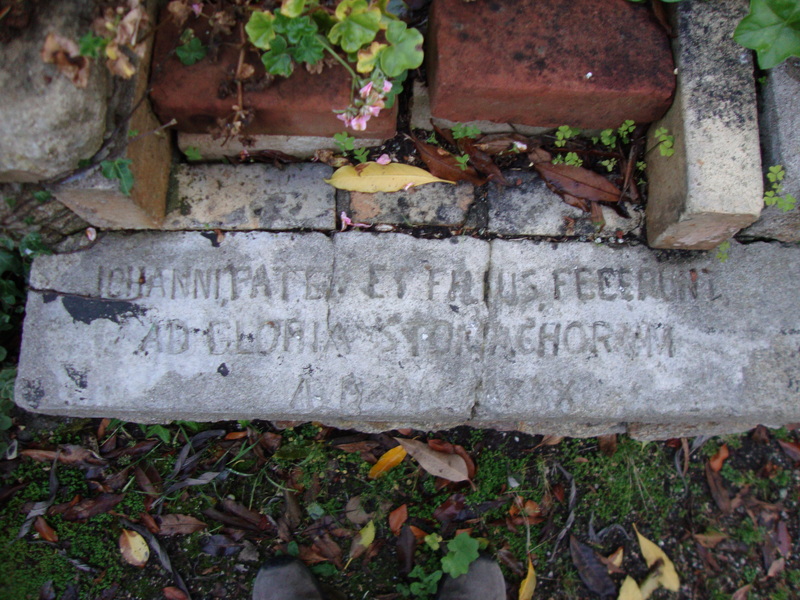 A Latin inscription by JS on a barbeque he and his father built. drummer. I love you. Thanks for riding along. Thank you for riding along. Let’s talk again soon, shall we? Yo Greg: Awesome trip and blog… Mauston, WI is within about 90 min. of us… too bad we couldn’t hang out. Is Max a bichon? We have one called Scooter…she’s about 6 and has social issues. hope to see you at some intersection. Your trip is flying by, at least from my lounger and laptop. I hope that you are enjoying every moment. It does seem that Max is growing younger, he looks great. Been thirty years since my own inspirational multi-month one-the-road tour. Your experiences provide glimpses of and yearnings for what such travels would be like through my now more well-traveled senses. Are you making time to ask those “what am I not dong now that I’ll be kicking myself about when it;s over” questions? Happy Trails.